V-Moda is a premium headphone brand, often seen as a pioneer of the fashion headphone movement. That is, V-Moda headgear is not only meant to sound good but is also designed to have classy looks inspired by Italian design. 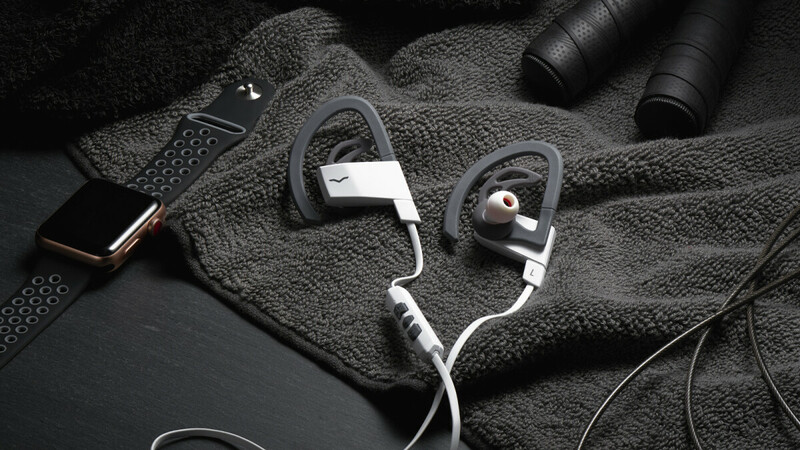 The company is now ready to enter the fitness headphone market with its new BassFit earbuds. While they look nothing different from your run-of-the-mill wireless buds out there, the company insists that the product was born out of the desire to create headphones that are stable when jogging, comfortable for long time wearing, and make absolutely no compromise in sound. BassFit's acoustics, as the name suggests, have been designed to enhance and deepen the bass response without muddying up the overall clarity. The headphones employ Qualcomm aptX and AAC — Bluetooth codecs that guarantee higher-quality wireless playback and make them compatible with both Android and iOS devices. They've also been designed for comfort in mind with the inclusion of both outside-the-ear hooks and inside-ear fins. You have a choice between using them with hooks only, fins only, or everything attached, for maximum stability. The BassFit also ships with a total of 4 tip sizes to choose from — L, M, S, and XS, which is super-rare on competing brands. Two layers of nano coating protect the headset from sweat and nasty weather, so it can do its job throughout the most intense of exercises. V-Moda claims 11 hours of music playback on a single charge. The BassFit also supports fast charging, so you can get 2.5 hours of use out of 15 minutes of charging. All of that and the headphones are still quite light, weighing in at 17 grams. The V-Moda BassFit is available on V-Moda's website and various retailers in two colors — black and white — for $130.